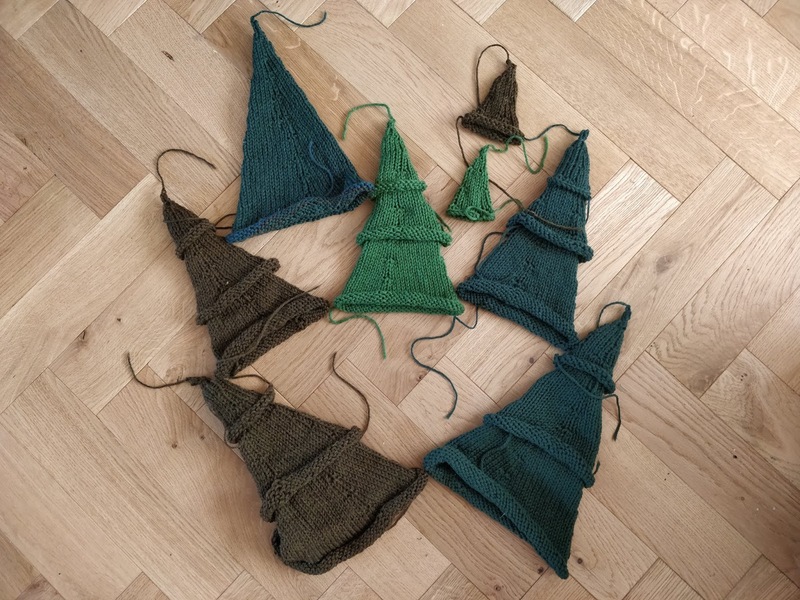 I both completed and felted my trees today. There's still a bit of stitch definition so I might felt them a second time, but I thought I'd wait until they'd dried and see how well they stand on their own before deciding. This is one quick wash 60 degree cycle. 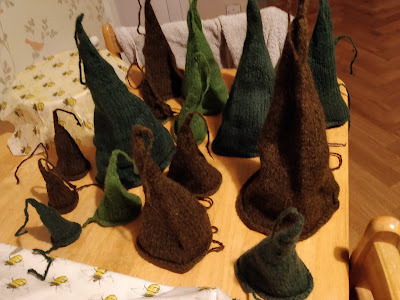 I've used up two and a half skeins of Cascade on these. 2018 Sally is very irritated at past Sally for not noting down what colours these skeins were before winding them, or at least keeping the labels - I am not sure what exact shades of green I've got here. However, I am happy that these exact shades of green are no longer in my stash. Onwards. Mother Hand's purple hat next, I think; though my colleague is due a baby around Christmas and I have an almost-finished Santa cardigan for a 0-3mth old that I should maybe break out to work on. As a complete tangent - I was looking through last year's posts for something today and came across this one where I explained my wish for beautiful, herringbone, wooden floors. Looks like that wish came true.